The SF Bay area has a very special place in furry history. For those of you who don’t know, a “furry” is a fan of anthropomorphic animals. That basically means an animal with human traits, like an animal that walks, or talks. You’ve seen furries in cartoons and Disney movies. Disney makes anthropomorphic characters out of everything, not just animals, but tea pots, and candles. Anthropomorphics is about as old as human history. People have been dressing like, acting like, and depicting anthropomorphic animals through all of recorded human history. It is also an extremely niche sort of interest. 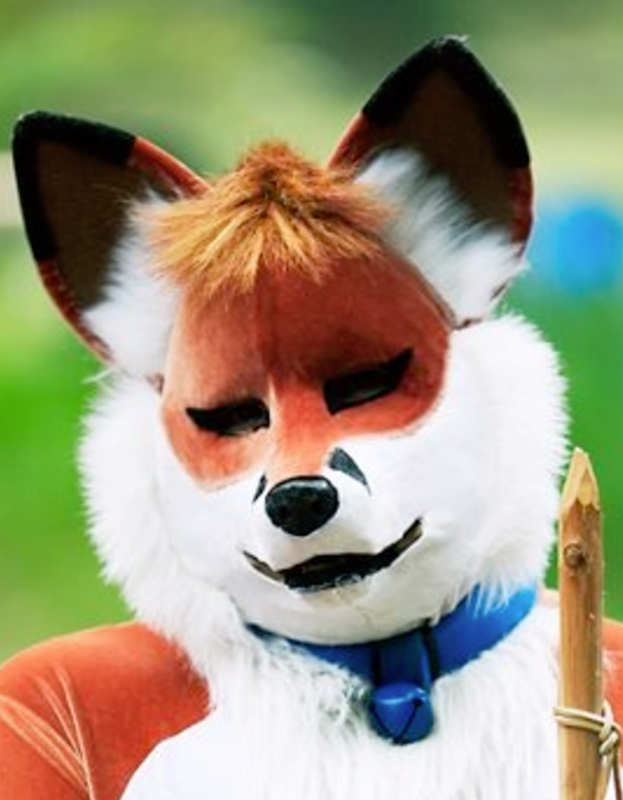 It’s been an entertainment industry staple for decades, but the internet is what really enabled furry fans to connect, and form a vibrant global community. The bay area was ground zero for this explosion of fur. One trait of furry fans that sets them apart from say, Star Trek fans or Harry Potter fans is that furries are not fans of just commercially generated art and media franchise. Furries create art, and media. You can say that furry fans are fans of themselves. This really makes it a very personal experience when your best friend may be your biggest fan, and there is no corporate entity in the middle. In fact, the furry art industry has become quite big in recent years. There are several people who make a professional living creating furry related art and attire. It has become an economy in it’s own right, as evidenced by online marketplaces, and furry events that host vast “dealer’s dens.” But, you wont find any household vendors selling wares, it’s all made by furries, and for furries! 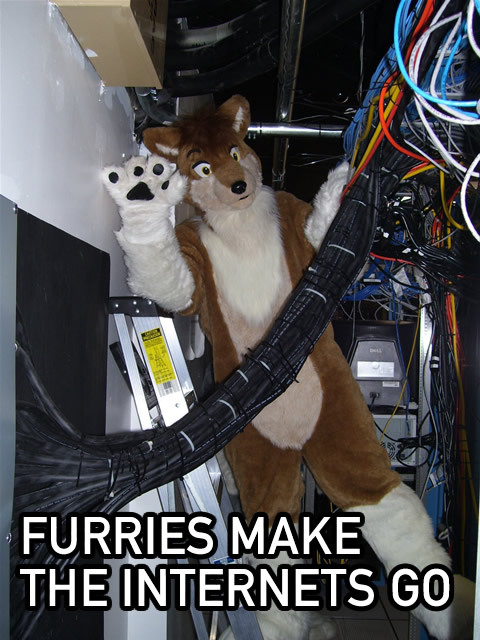 Furries grew population in The Bay Area as they took work in the internet tech sector. The bay area has a special place in furry history tied to the tech industry. Furries, took off like wildfire here during the advent of the internet. The internet enabled people with extremely niche interests like furry, to find one another and communicate. In the early days of the internet, you had to be in government or academia, and know what at the time was fairly advanced things about computers and networks to even access the internet, let alone use it for personal entertainment and communication. There was a period of time in the 1990’s where you could land a job in Silicon Valley simply because you were a furry. It was implied, by being furry, you possessed the requisite skills to fill many vacant chairs in Silicon Valley. 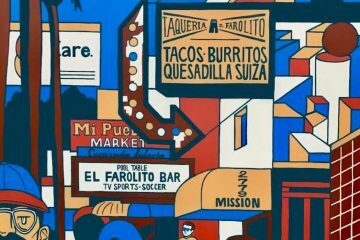 As the internet became a household word, and the masses had access to it, the furry population and the social opportunities in the bay area and the world over have exploded exponentially. I was one of those warm bodies that was transplanted from the Midwest in 1997 to a job at a tech giant in Mountain View. I came here not just for the work, but because my friends from the internet were all coming here. Hundreds and eventually thousands of us ended up here. I left school for a 3 month summer job. I’m now on year 20 of that 3 month summer job. Furries in the bay area are extraordinarily social people. Every day of the week there is something social happening. Everything from group bowling outings to pub crawls, movie nights, game nights, and more. One furry meet or “furmeet” at a sports bar in Santa Clara has been going on for over 18 years, consistently, every Thursday. The business has changed names and management 3 times, and we’re still there! Some nights over 100 furries will attend this meetup. 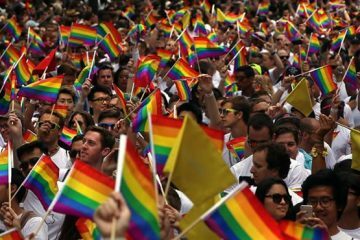 While many are smaller affairs, this is one of the big ones. But, not the biggest. 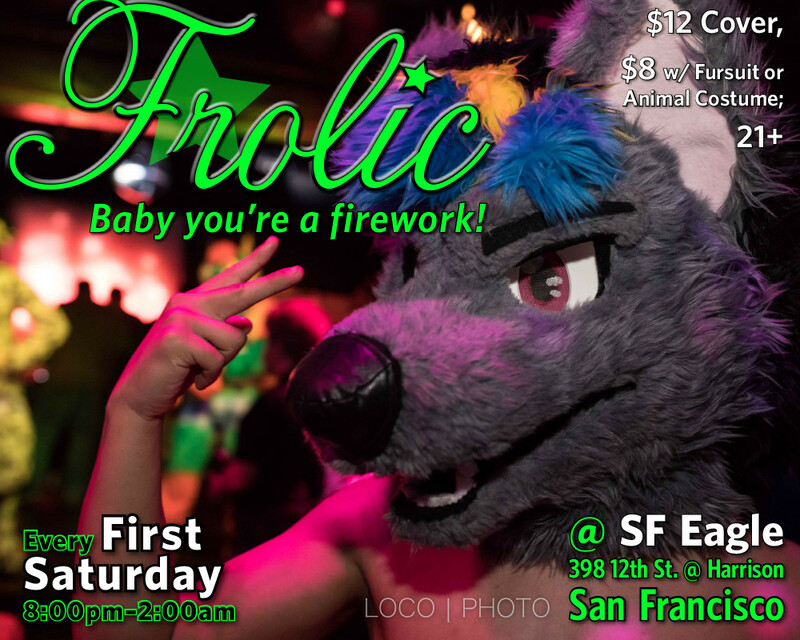 Monthly , we have a furry night club called “Frolic” Frolic has been going on for over 6 years, and attendance has crested over 400 furries. Click on this image to watch a highlight video from the recent Biggest Little Fur Con in Reno. We also have furry conventions! In San Jose every January, we host an international furry convention called “Further Confusion”. It is one of the longest (Possibly the longest) continuously running furry conventions in the world. Thousands attend from all over the world. 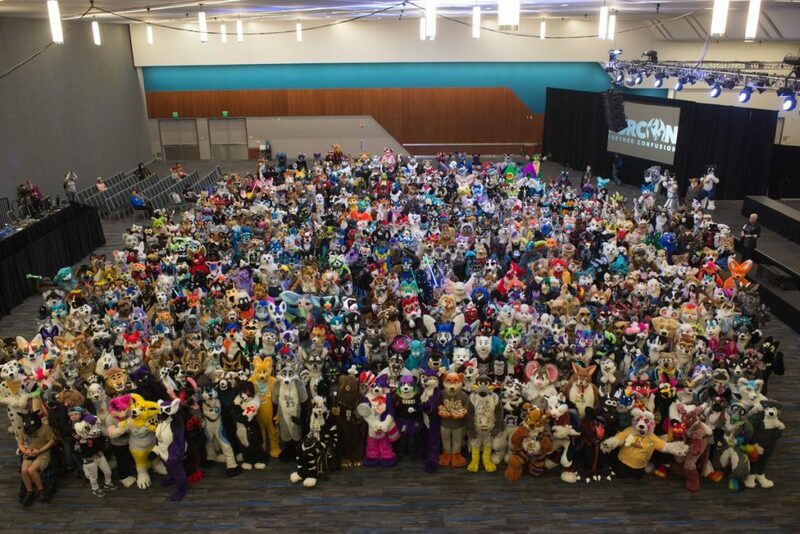 In November we also host in San Jose, a smaller local convention called PAW, or Pacific Anthropomorphics Weekend, where attendance is expected to exceed 1000 people this year. Not far away in Reno, this month we had Biggest Little FurCon which grew 40% this year to an attendance of over 5100 people! Fursuit Photo Shoot from Further Confusion 2017 in San Jose. Today, I read an invite on MeetUp of another Thursday furmeet planned in Mountain View. So now there are two Thursday night choices. And I am sure in a few years there will be 3 or 4 things going on each night. It can seem overwhelming, but once you find your own niche in furry fandom, you’ll make some of the best friends of your life. So, welcome to this column. 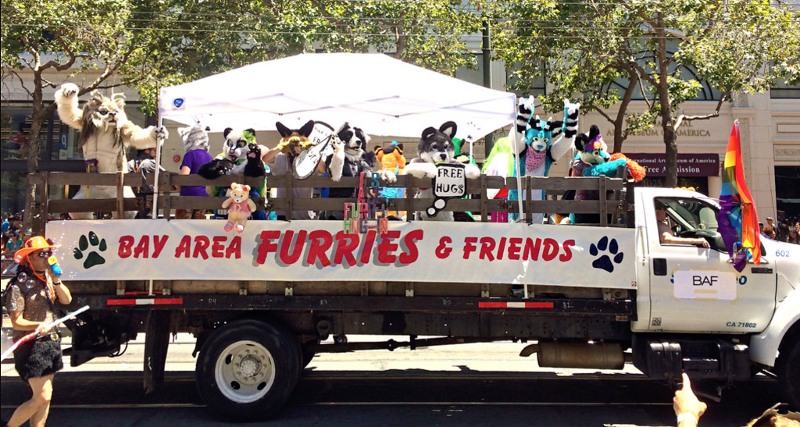 Here I’ll be your tour guide through my experiences in bay area furry fandom. Each article will focus on an event, personality, or resource you may want to know about. I’m hoping I can help you find your happy place in this regional furry family. 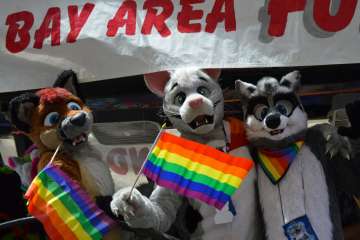 Bay area Furries and Friends float in the San Francisco pride parade – Many furries are LGBT folks, but not all, and all are welcomed regardless of race, gender, religion, ethnicity, skin color, or sexual orientation. Fursona – A furry persona that a furry adopts. 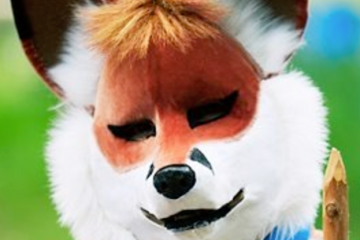 The fursona represents the idealized vsion of what oneself might look like and act like as an anthropormic animal. You can have more than one fursona, but many have just one. Furmeet – A social gathering, usually casual in nature, usually at some public and/or social venue. Most furmeets center around activities such as entertainment, or food. They are a way we can put faces to the names of all these people we meet on the internet. Anthropomorphic – Attribution of human traits to a non human creature or object. Usually depicted in artistic renderings and expressions to assign human feelings and emotions and make the creature or object more personally relatable.